Big Brother (2018) BluRay 480p, 720p A soldier-turned-high school teacher uses unusual methods to reach to a class of poor students, while dealing with a greedy entrepreneur and his gang of fighters as well as the government. Ip Man 3 (2015) BluRay 480p, 720p When a band of brutal gangsters led by a crooked property developer make a play to take over a local school, Master Ip is forced to take a stand. The Lost Bladesman (2011) BluRay 480p, 720p The story of legendary Guan Yu crossing five passes & slaying six generals. He played a major role in the civil war that led to the collapse of Han Dynasty & the establishment of Shu Han of the 3 Kingdoms, making Liu Bei its first emperor. 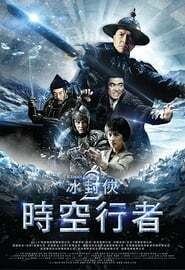 The Monkey King (2014) Bluray 480p, 720p A monkey born from heavenly stone acquires supernatural powers and must battle the armies of both gods and demons to find his place in the heavens. Rogue One: A Star Wars Story (2016) BluRay 480p, 720p The daughter of an Imperial scientist joins the Rebel Alliance in a risky move to steal the Death Star plans. Painted Skin (2008) BluRay 480p, 720p An action-thriller centered on a vampire-like woman who eats the skins and hearts of her lovers. Together (2013) BluRay 480p, 720p A police officer called Mr. Cool, who falls in love with an amnesiac named Jojo. Boy and Lee use WeChat and bump into each other one day. They decide to play a game to date each other for seven days but not to fall in love.